Overlanders love hard cases, and in particular those made by Pelican. Whether strapped to the roof of a truck or mounted to the side of a motorcycle, the ever present Pelican case is a stalwart fixture of overland travel. 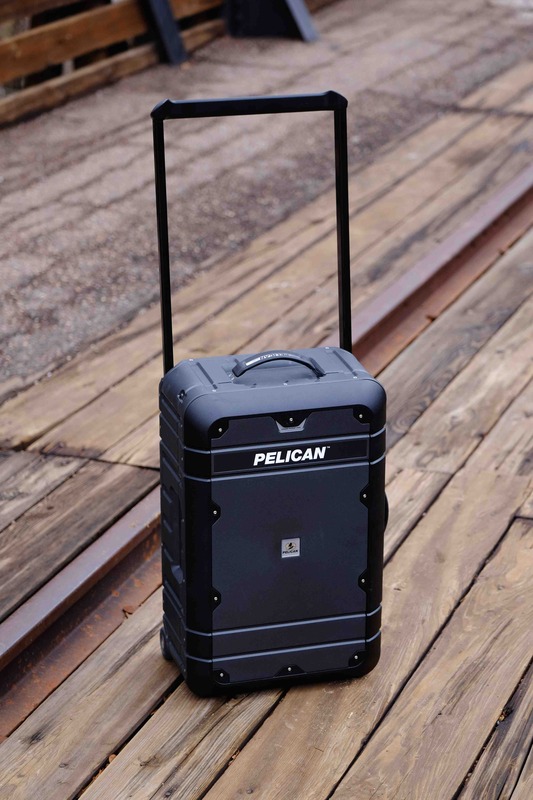 As good as they are, Pelican saw an opportunity to make them even better, specifically for general travel duties. Their new line of ProGear Elite Luggage puts a new spin on a time-tested classic. 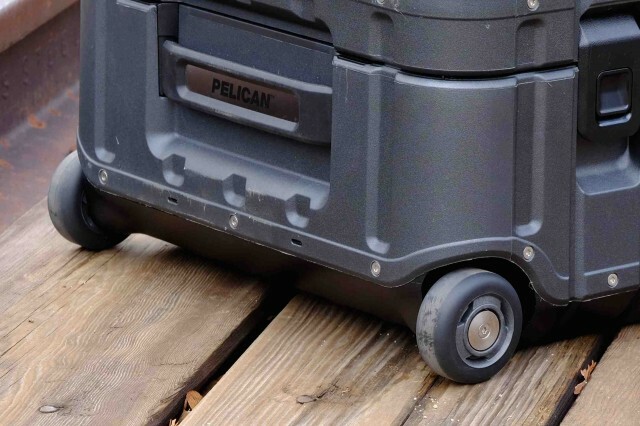 The traditional Pelican Protector case has served many a traveler and can even be had with wheels, so it seemed unnecessary for the brand to reinvent the product. After using their new case for several months, I can see why they did. The Elite series of cases are fantastic. The chamfered edges of the case help it fit in confined spaces and give it a refined aesthetic. 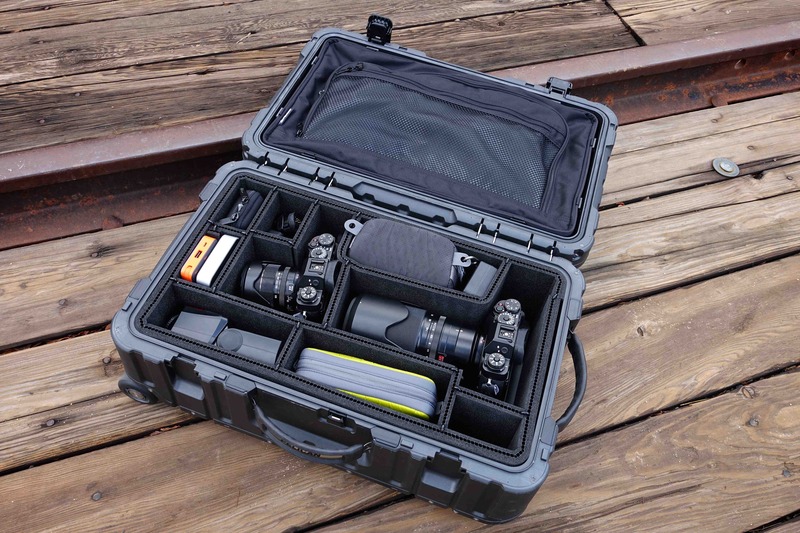 The latches are flush with the face of the case to reduce the risk of damage in transit. They also have a double locking action for added security. Available in three sizes, I elected to go with the 22-inch Carry-on. With external dimensions of 21.6 x 13.9 x 9-inches, it easily fits within the size restrictions defined by most airlines. 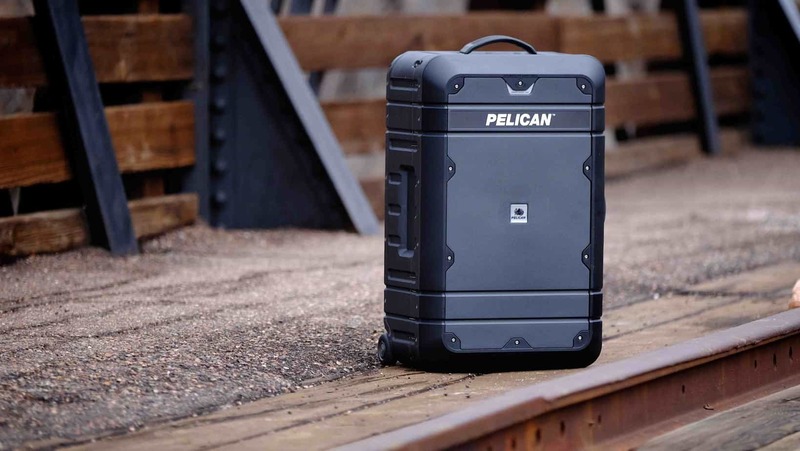 As I have come to expect of Pelican, the design mission of their new luggage was to offer maximum protection and pair it to thoughtful features. Each Elite case comes with rubber seals for 100% waterproofness. 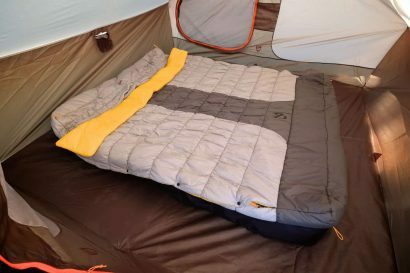 They all have a built-in TSA-approved combination lock, stainless steel hardware, recessed latches, durable rubber wheels rolling on ball bearings, and a sturdy retractable handle. There are additional rubberized handles on the top, bottom and one side. The structure of the Elite case is a significant departure from the Protector series we have all come to know and love. 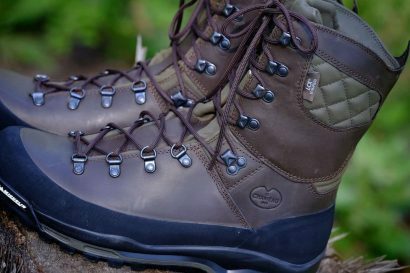 The double-wall construction of the Elite provides durability and protection while keeping overall material mass to a minimum. This allows the Elite Carry-on to shed nearly three pounds over the similarly sized Protector 1510 carry-on. At only nine pounds, the Elite Carry-on is decidedly lightweight. 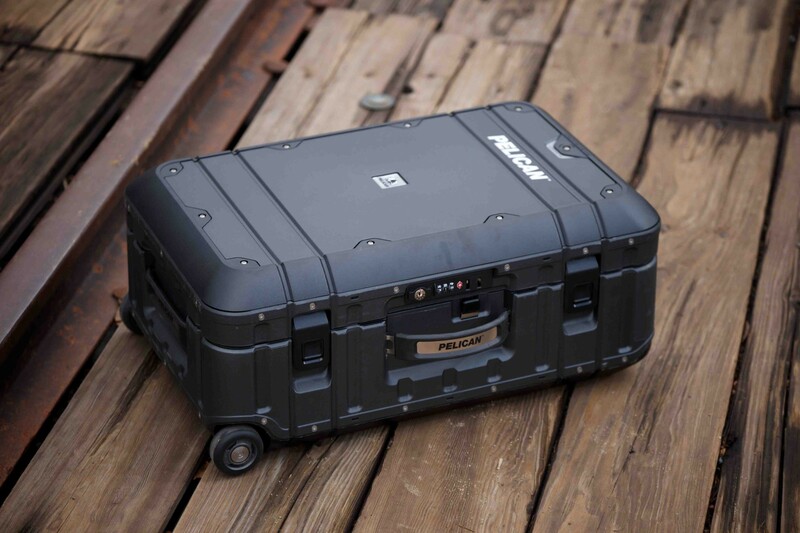 Even with the radical reduction in heft, Pelican claims their new cases can withstand crush loads up to 1,500 pounds. 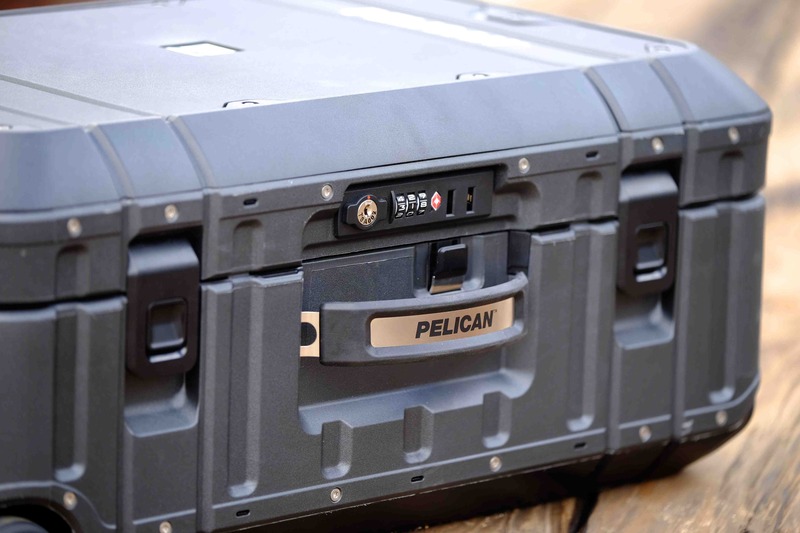 To optimize versatility, Pelican offers the cases as a stand-alone purchase or as a comprehensive kit. Their optional Enhanced Travel System includes a zippered organizer built into the lid recess and two additional nylon zippered bags. The pouch fitted in the lid is surprisingly big and swallows an impressive amount of gear leaving the main compartment free for larger items. To augment the utility of the Elite Carry-on, I fitted it with Trekpak’s unique foam dividers. After just a few minutes of carefully organizing the contents I wanted to portage, cutting the dividers to size and installing them took all but a few minutes. The results are pleasing. Everything is tucked away nice and tidy, protected from water, dust, and impact. It’s a reassuring feeling to know all of my valuables are safe and secure within the hard shell of the Elite Carry-on. The rubber-coated stainless steel handles are comfortable and offer a positive grip. They also retract flush with the case when not in use. It’s those little details that make the Elite Carry-on so convenient. 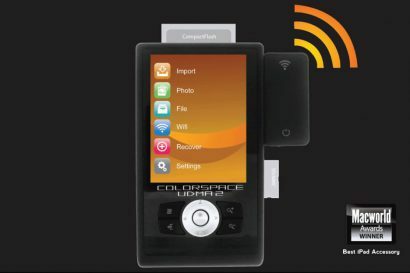 The last notable feature of the case, one I’m not sure I see as necessary, is the option to customize each case with a colored external bezel. There are five colors to choose from plus one case offered with a purple body, an odd choice of color in my opinion. To many overlanders rolling luggage is wholly incongruent with our brand of travel. We used to think so too, but over the last few years our Overland International team has slowly warmed to wheels. It is amazing how the pounds add up when hauling heavy camera, motorcycle, or general travel gear. 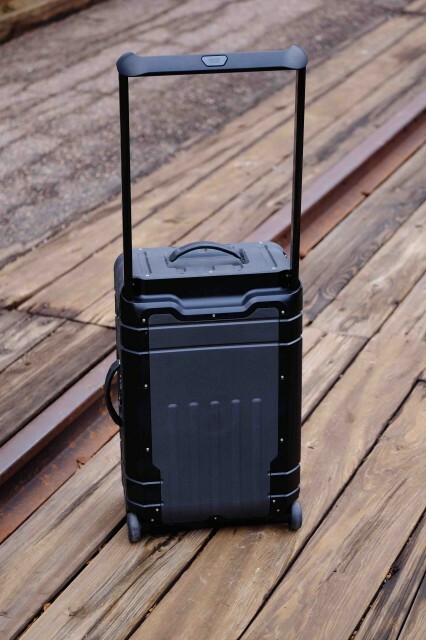 Maybe we’re just getting soft, but we think wheeled luggage is not just for flight crews.